Next Post Every Vote Counts But Does Every Vote Matter? Thanks for this post Mark, with three university-aged children, social media communication is an ongoing conversation in our home. Social media in it’s current form is establishing it’s place in the way we communication. Even my ninety-year-old father, uses Skype and is now asking about twitter. However, as you mentioned, there are so many factors that this affects. Misinterpretations and conflict will develop because of the lack of the “human factors such as eye contact, facial expression, tone of voice, posture, gesture, timing and intensity that humans need to communicate effectively (Karam, 2015).” Is it not our obligation to society as educators to ensure our students explore all that learning has to offer? Therefore if social media is skewing social interaction and communication so heavily to one side, I feel educators should counter balanced with more of a face-to-face approach. Maybe asynchronous sessions are not the solution, perhaps synchronous with audio and video provide more human factor, but still allow for the convenience and benefits of online learning. I do feel without proper intervention and guidance that the coming generations will lack depth in their experience. Hi Judy! Thanks for your response. As an educator, I agree that we should allow our students to explore the use of technology and experience a variety of communication methods. However, my concern is how social media; as a means of communication, will impact a students face-to-face communication skills before they enter the classroom. How will these factors of communication influence the way they communicate in an online environment? How do their external preferences and habits of communication affect their communication within an online synchronous session? Online etiquette alters the way we communicate through synchronous methods. 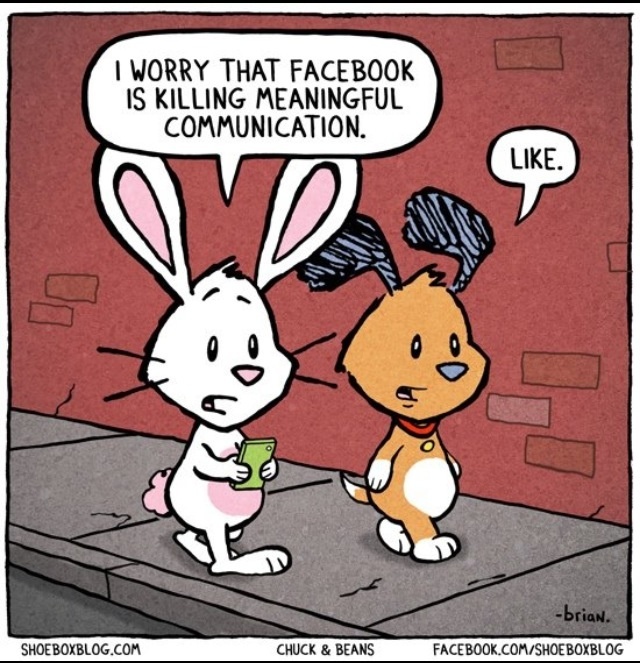 We tend to limit our intensity, tone, gestures, expressions and timing when communicating online. We know that communicating is becoming more and more instant and concise. Twitter only allows a user to complete a thought in 140 characters. Vine limits a user to post a video up to 6 seconds in length, and SnapChat enables people to communicate with a variety of mediums in relatively short bursts of time.